Has this been posted here yet? I haven't seen it but IDGAF because OMG, this is awesome. 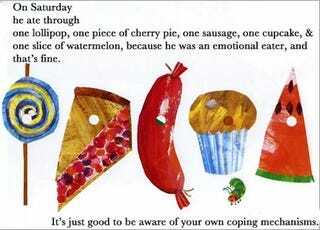 "It's good to be aware of your own coping mechanisms." 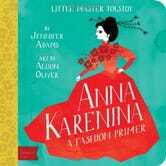 ETA: Also, I was at work today and discovered we have Pride and Prejudice, Alice in Wonderland, Sherlock Holmes, and Anna Karenina FOR INFANTS. These are cardboard picture books. No joke. I want them.